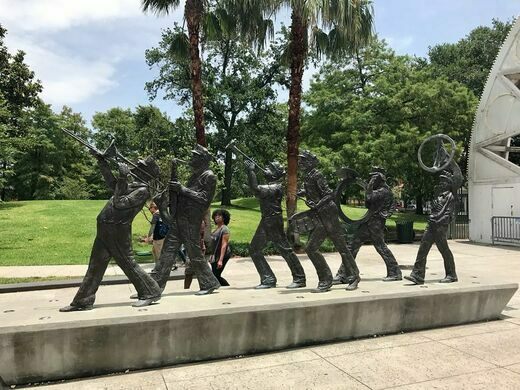 A short jaunt north from the bustling restaurants and shops of the French Quarter, an unassuming space surrounded by trees lies within Louis Armstrong Park. Despite its humble appearance, Congo Square in the Tremé neighborhood of New Orleans is one of the most important places in the history of music. In the pre-Colombian era, this same land was an important site for the Houmas Indians’ harvest celebration. Upon the arrival of slaves, it took on a different function, eventually becoming the incubator in which one of America’s most popular musical exports developed. Jazz owes its existence to the African slaves and their descendants who gathered here once a week, bringing with them traditional instruments, rhythms, and a determination to make the most of this rare outlet for free expression. “Code Noir” gave enslaved people Sunday afternoon off, and they capitalized on this opportunity to create, innovate, and make money—sometimes enough to buy their freedom. 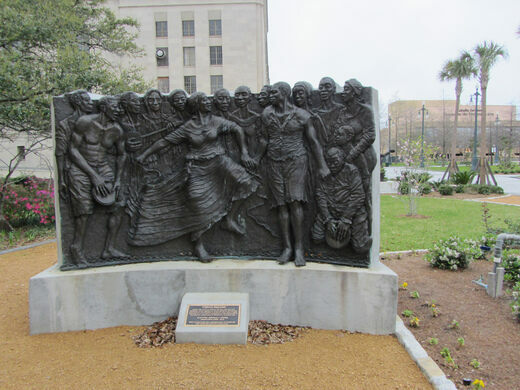 Congregating at Congo Square, slaves and free Creoles of color (like the famous voodoo queen Marie Laveau) danced, played music, sold food and other goods, and practiced the otherwise suppressed African elements of their syncretic Catholic West African religion. The music that was made in this space laid the groundwork for jazz. 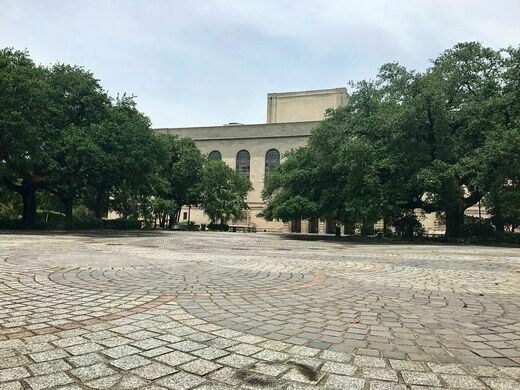 In fact, Tremé—the area in which Congo Square is located and the oldest African-American neighborhood in the United States—is widely regarded as the birthplace of jazz. Located just outside of the French Quarter, Tremé continues to be one of the best places to find Creole food and great music. Congo Square is a testament to human resilience, ingenuity, and desire to be expressive and free. Fittingly, then, it continues to be the site of various musical performances and other celebratory events. 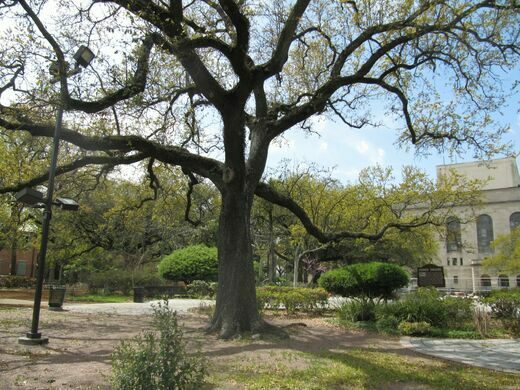 Congo Square is within easy walking distance of the French Quarter. There are often performances and other events held on Congo Square, so it's worth checking with a local to see if any are coming up.